Scientists studying dispersants and related chemical compounds, such as those used in response to the Deepwater Horizon oil spill, recently published their findings in the September 2012 issue of The Journal of Physical Chemistry Letters: Homogeneous Nucleation of Methane Hydrate in Microsecond Molecular Dynamics Simulations. Understanding the mechanisms of how molecules group together and form long-lived clusters in liquids is important to advance the science in a broad range of areas including dispersant development and use in future oil releases (spills), as well as control of hydrate formation during spill-related operations. 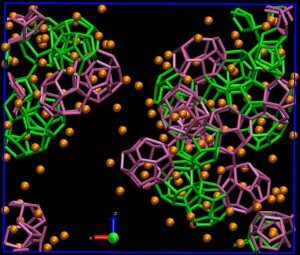 Researchers used molecular dynamics (MD) simulations to conduct what they believe is the “first atomistically detailed simulation of methane hydrate nucleation in the absence of any interface.” The team built upon their recent studies of carbon dioxide hydrates to design new MD simulations with no hydrate-water or gas-water interfaces. During ten simulations, each running at least one microsecond of simulated time, the team tracked the formation of hydrate-like water clusters noting their numbers and size. 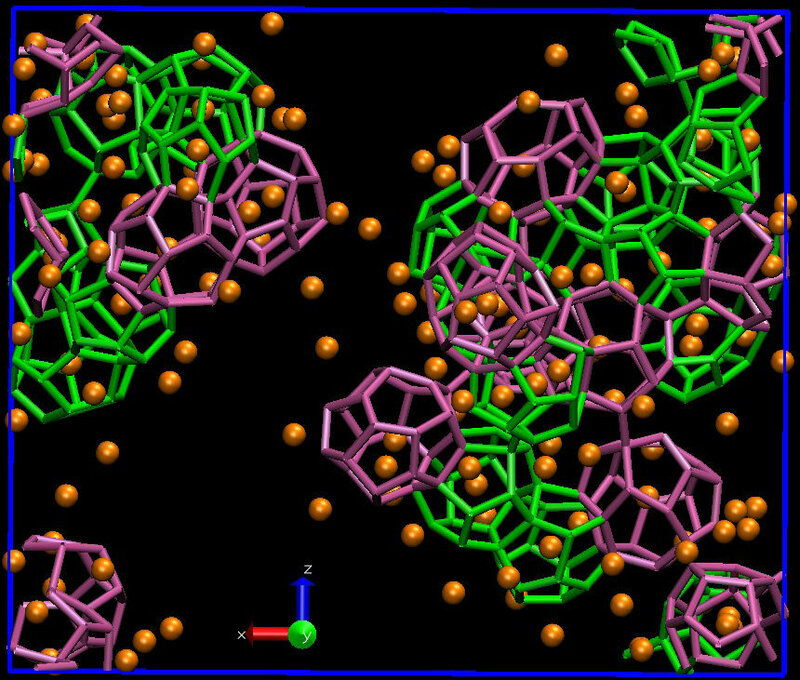 These “water cages” are precursors to the formation of crystalline hydrate structures. The team observed clusters forming and then dissociating during the simulations, some surviving for only a few nanoseconds. These results build the case for future studies that focus on factors that may influence the formation, size, and number of these clusters, and eventually stable hydrates, including the “effects of interfaces or their absence”. The study authors are Sapna Sarupria and Pablo G. Debenedetti ( The Journal of Physical Chemistry Letters 2012 3 (20), 2942-2947). This research was made possible in part by Grants from BP/The Gulf of Mexico Research Initiative (GoMRI) through the Consortium for the Molecular Engineering of Dispersant Systems (C-MEDS). The GoMRI is a 10-year, $500 million independent research program established by an agreement between BP and the Gulf of Mexico Alliance to study the effects of the Deepwater Horizon incident and the potential associated impact of this and similar incidents on the environment and public health.